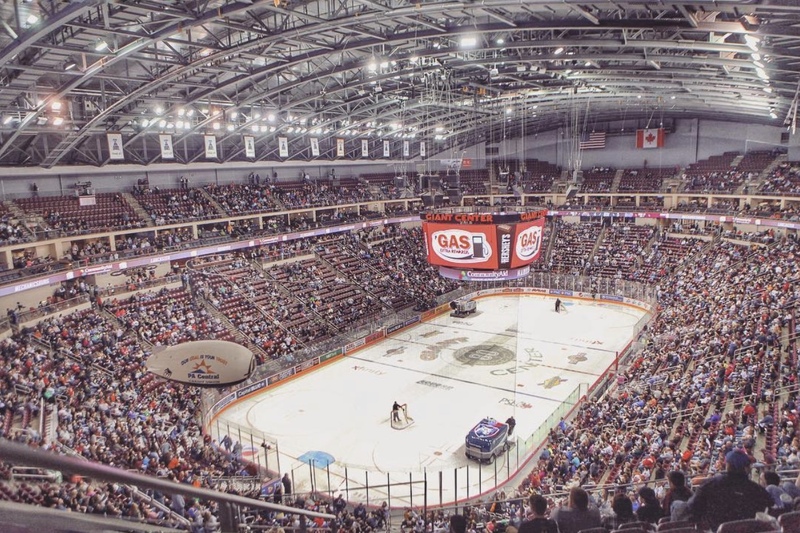 The Hershey Bears are set to open their 2018 training camp on Monday (September 24th) at Giant Center in Hershey. On Sunday, the Bears announced the initial roster for the start of camp. 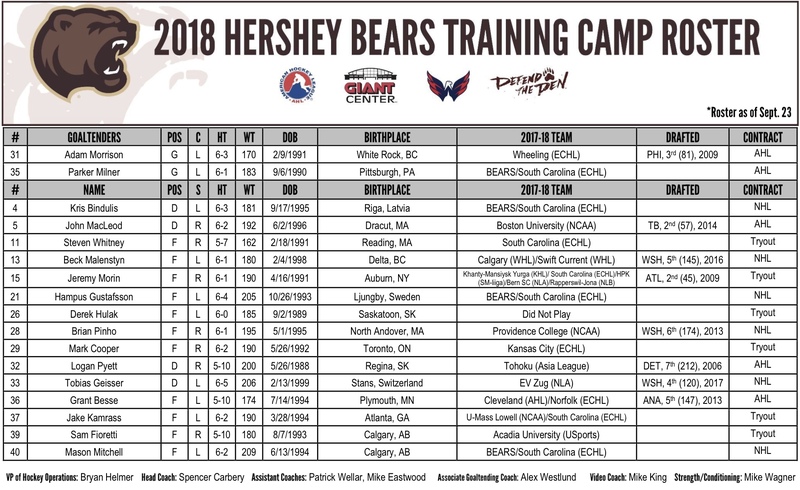 The 2018 Training Camp Roster will be updated at HersheyBears.com over the next week. Many additions are expected, as Hershey’s NHL affiliate, the Washington Capitals, will have to reduce their camp roster from 45 skaters to a maximum of 23 skaters in the next week. 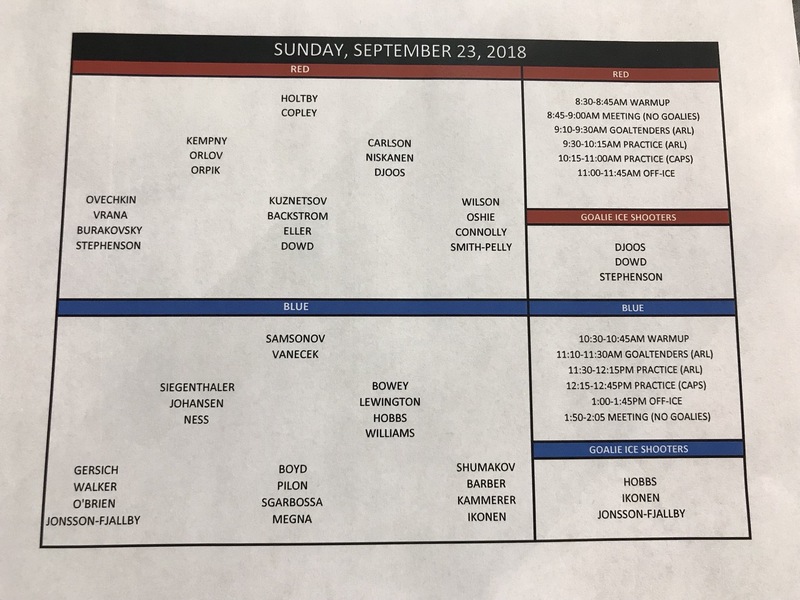 The Washington Capitals training camp practice on Sunday featured two new groupings, “red” and “blue”, with the “red” group giving you a good idea of the players likely (currently) to make their opening night roster (as of now, changes still may occur). The “blue” group gives you a good general idea of the additional players who could eventually report to Hershey (as of now). The Hershey Bears released their training camp schedule on Thursday afternoon. Camp will last for a week and end on Sunday, September 30. The Bears play their first game on October 6 against the Syracuse Crunch at home. This will be their first training camp under new head coach Spencer Carbery, who coached the Washington Capitals‘ rookie tournament. The 2018 Training Camp roster features four players who skated with Hershey last season, including forwards Hampus Gustafsson and Mason Mitchell, defender Kris Bindulis, and goaltender Parker Milner. Returning forward Mathias Bau is not listed on the roster due to injury. Recent Capitals draft picks, including forwards Brian Pinho and Beck Malenstyn, and defender Tobias Geisser, also appear on the roster. The roster features five players signed to AHL contracts with Hershey in forward Grant Besse, defenders Logan Pyett and John MacLeod, as well as goaltenders Milner, and Adam Morrison. Six players on Hershey’s initial 2018 Training Camp roster are on tryouts. Three tryout forwards, Sam Fioretti, Jake Kamrass, and Steven Whitney, have signed contracts with Hershey’s ECHL affiliate, the South Carolina Stingrays, for the 2018-19 season. Forwards Mark Cooper, Derek Hulak, and Jeremy Morin round out the roster. Both Hulak and Morin have substantial AHL experience. Hulak scored 21 goals with the Texas Stars in 2014-15, while Morin, a veteran player, has scored 230 points in 330 career AHL games, and has also played in 82 NHL contests. More on Bears training camp here. 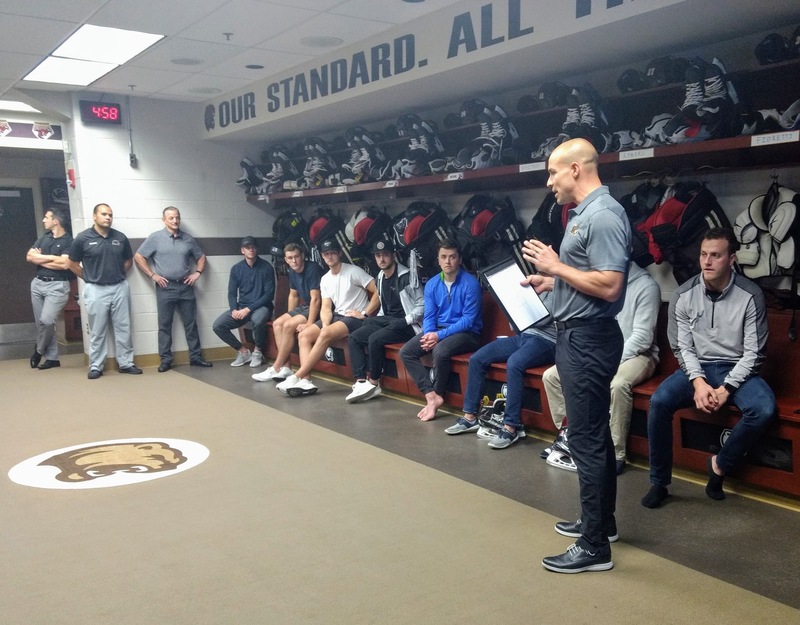 Sunday evening, Bears new head coach Spencer Carbery held his first meeting with the team. This entry was posted in News and tagged 2018 Hershey Bears Training Camp, Hershey Bears, Jon Sorensen. Bookmark the permalink.